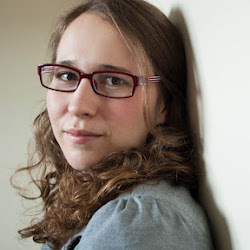 Kristen enjoys motorsports as well as winter sports—but has yet to combine the two. Writing for RidersWest magazine allows her to look forward to a time when she can take the opportunity to make this a reality. Meanwhile, you can find her on motorcycles in the summer, and snowboarding in the winter. 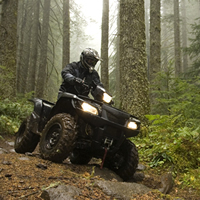 Jennifer Appleby of Western Financial Group talks to RidersWest about some of the insurance requirements for off-road riders. 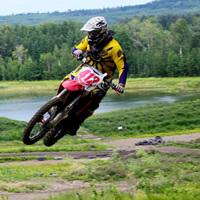 The White Ridge MX Park is a great opportunity for motocross track riding in Central Alberta while a few other destinations provide options for quadders. 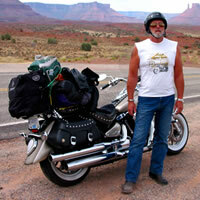 Dan Hutchinson has taken countless roads and learned a lot in the many years that he’s been journeying on motorcycles. 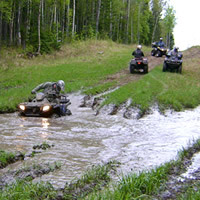 In Whitecourt, Alberta, there are efforts to grow a club and designate an area for quadders to enjoy the ride. 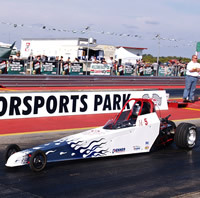 Located one hour north of Winnipeg, Manitoba, Gimli Motorsports Park is definitely motorsports central. 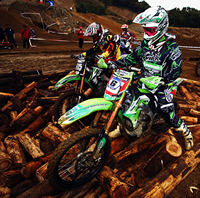 Consisting of 235 acres, this multi-use motorsport complex boasts a quarter-mile drag strip, a two-kilometre motocross track and a 1.3-mile road racing course. 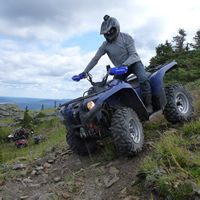 Gordon Galloway, safety director with ATV/BC, shares the importance of safety in quadding and the initiatives of the organization. 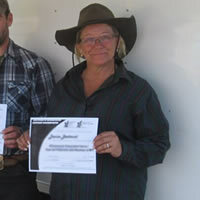 Denise Bertrand is serious about off-road riding and she's especially passionate about helping others stay safe on their quads this summer. Pro rider Shane Cuthbertson talks to RidersWest about being involved in building a unique course for Red Bull. It’s a unique motorcycle club, but this group of geomatic professionals have found a way to share an interest in the road. You would be hard pressed to find someone who loves the sport of ATVing more than Stephen Cameron does. After moving to Fort St. John he started quadding and hasn’t looked back since. Although she comes in a pretty little 19-foot package, Yamaha’s AR192 motorboat goes far beyond just being easy on the eyes. British Columbia Outdoor discoveries in Northern B.C. 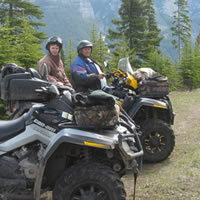 Off-road riding tends to be a pretty popular pastime in Northern B.C.—and for good reason. Backcountry is plentiful and there is plenty of draw to outdoor pursuits. 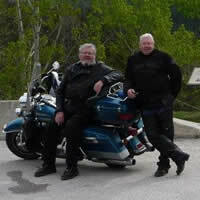 British Columbia Can a club be far behind? 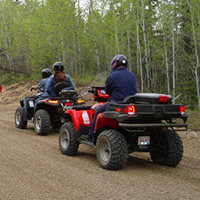 The ATVing community of Tumbler Ridge has the potential to combine socializing, responsibility and prime riding to form a great club. Women on Canada’s West Coast have a club to call their own—and a lot of fun to boot. With a new president and some defined goals, Brandon and its surrounding area are about to benefit from some solid positive initiatives in recreational quadding.